Fundraiser for Cody Loveland by Aric Streeter : LoveFab Enviate Pikes Peak 2017! LoveFab Enviate Pikes Peak 2017! 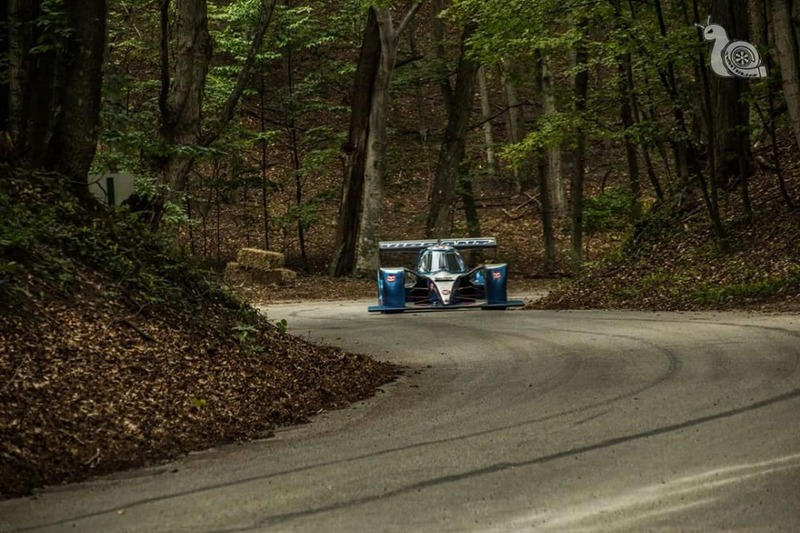 The realities of funding a competitive Pikes Peak Hillclimb effort in this day and age of factory-backed programs and an ever burdensome and increasingly expensive media cost environment has compelled us to approach our loyal fan and customer base for some love. 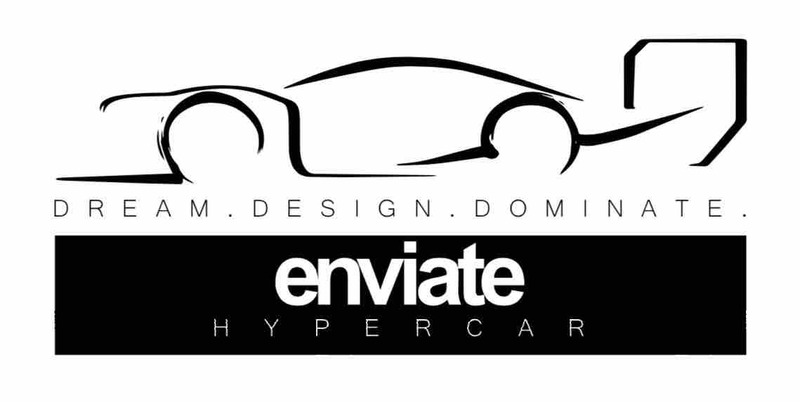 We are seeking your support to ensure appropriate funding to properly get our 2017 Enviate Hypercar effort to the top of the mountain this year and allow everyone access to this truly grass roots story. 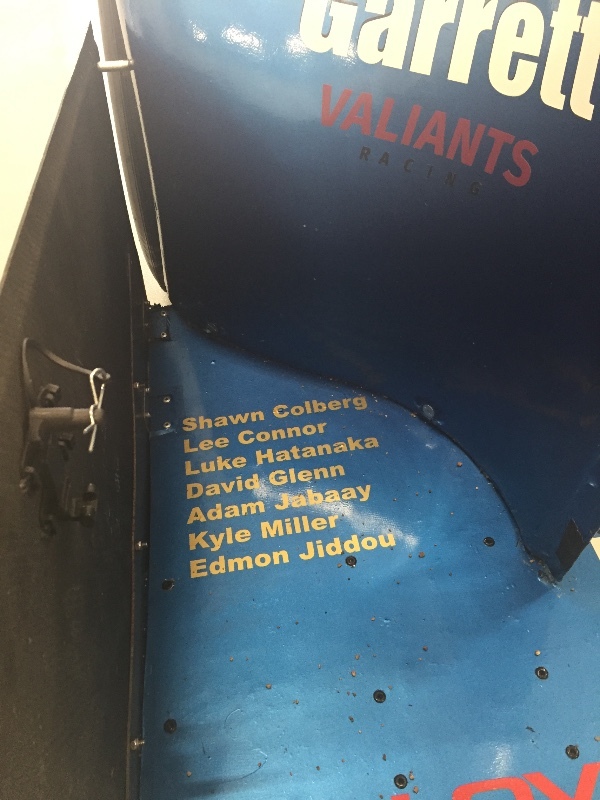 It's a humbling experience to step back and realize that the car never would have gotten to this point without our generous sponsors and fans. Although we've made it this far with their substantial support. This, along with substantial personal sacrifice, will get us to the peak this year regardless, but fully funding the media effort that will allow what will be an epic journey to be shared with the world is where we truly want to be. As we've previously quietly mentioned, this year's adventure is being fully documented by an award winning (but not well funded due to the very tight timeline PPIHC selection process) documentary team. Making the resultant video available to the public presents some real challenges, for example a $5K fee for usage rights to any video of the event payable to Pikes Peak is one of the hurdles that need to be overcome for starters. Add to this substantial production and post-production costs and you'll get a sense of challenges that we're facing in the near term. Not being able to share this journey with our very supportive public would be devastating to all involved, but is the reality of the situation we currently face. 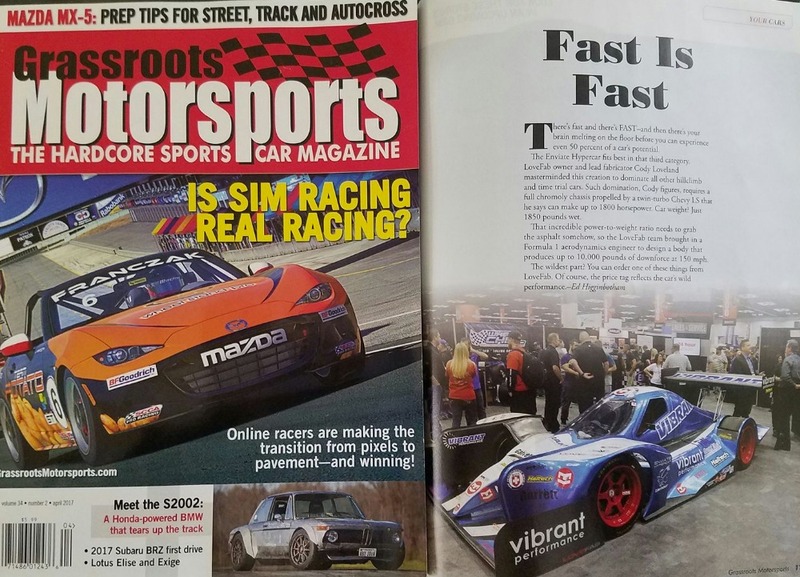 Although keenly aware of the stigma of seeking public / crowdsourced funding for a race car effort, we are also not asking for handouts - we're asking for partner sponsors, and all contributors get something. 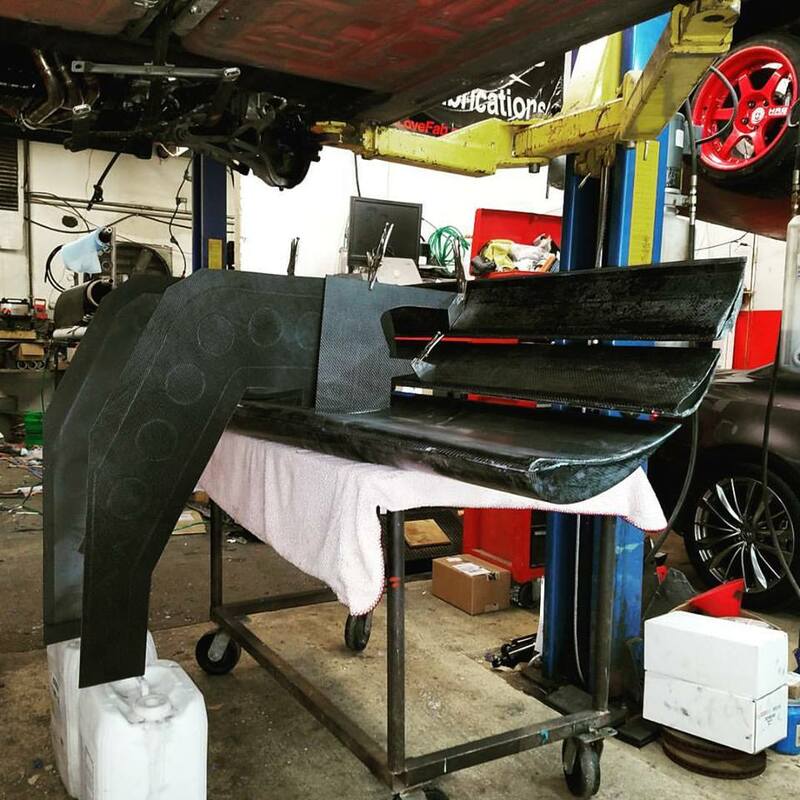 Whether its a signed hero card, coffee mug, tee shirt, hoody, your name on the car, mention in the ongoing documentary of the 2017 effort - and for the brave - driving this beast of a car, with bigger aerodynaics than an Formula 1 car ON TRACK for a few laps (bring your rib protector!) 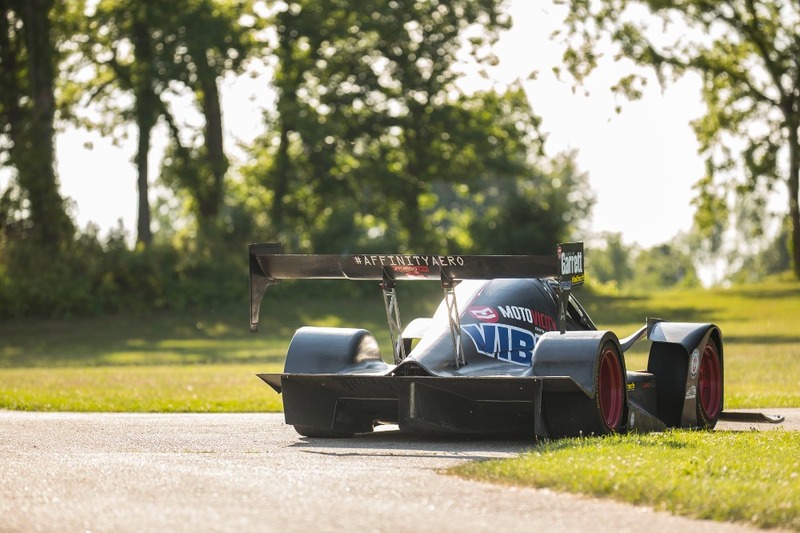 on track, a WHOLE track day, or even taking outright ownership of the vehicle post-Pikes Peak! Many people have approached us this year and asked how they can help this year - this is it folks! 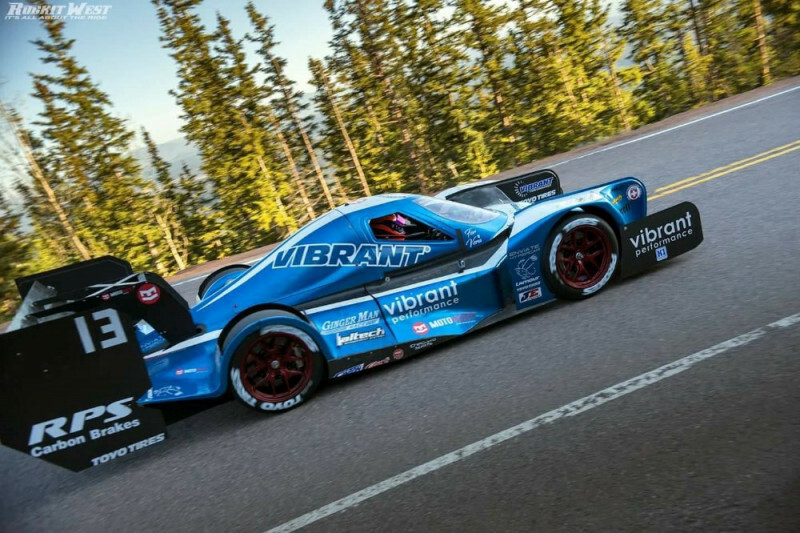 $150000 - Full ownership of the $250K+ car at the end of the Pikes Peak event! Contributions of $1000 or higher can be applied toward future purchase of an Enviate (yes, we're going to build and sell these things in configurations varying from mild to wild) or other LoveFab vehicle build. Achieving our funding goal by the End of May will ensure we can meet our commitment to deliver to you the best story possible! Thank you, and we'll see you on the Peak in July! We didn't forget about you all. The goods are in process, and will be shipping at some point in March. Thank you for the patience. It's a whirlwind of activity this week and next and we continue to prepare for our assault of the Peak at the end of this month. As many of you have likely seen, we successfully completed our testing day on the mountain, and posted the second fastest time while doing so. This resulted in an official invite to participate in Race Week. A huge step forward, but there is still much work to be done on the car in the next 2 weeks based on everything we learned on the mountain. There is still time to get your name on the car for race week, but there is no time to waste! The following is a list of the people whose contribution to this campaign currently qualify. To join them, a $100 donation is required, and as per the original post, this contribution also qualifies you for a "swag pack" including a signed hero card, coffee mug, a choice of tee shirt or embroidered hat with the new Enviate logo, and a hoody. Join the team, and let's do this! We're very excited to present this logo teaser for the sponsor apparel and other swag that is exclusively available to contributors to this campaign. The logo was made for us by our supremely talented and longtime media partner Edmon Jiddou. 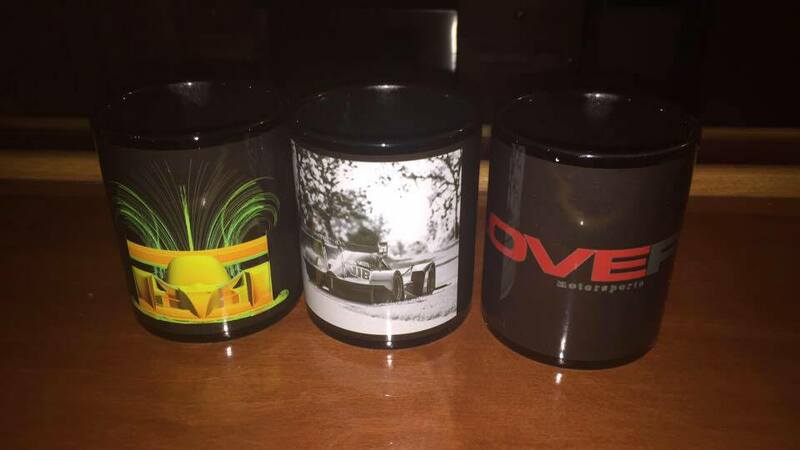 Donate today to become part of the team and get access to these exclusive items! For the commitment, the hard work and for sharing all the amazing technical details and pictures! Good luck and stay safe! Can't wait til race day! Good luck, Cody! Excited to see you run the Peak again!